Oh man, you guys, we usually don’t do leaks by anonymous tipsters but this was just too good to pass up. Rayman is gonna be in the upcoming Sonic Runners! This tipster gave us this piece of promotional art in which Rayman is shown running alongside Sonic, Tails and Knuckles. What made this leak especially convincing is that just like Sonic, Rayman consists of a re-used model from previous games with black lines around the edges. It makes sense as well. Just like Sonic will have, Rayman has had a couple of “endless runner” games that aren’t really endless but actually have stages. These games, Rayman Jungle Run and Fiesta Run, were pretty darn good. 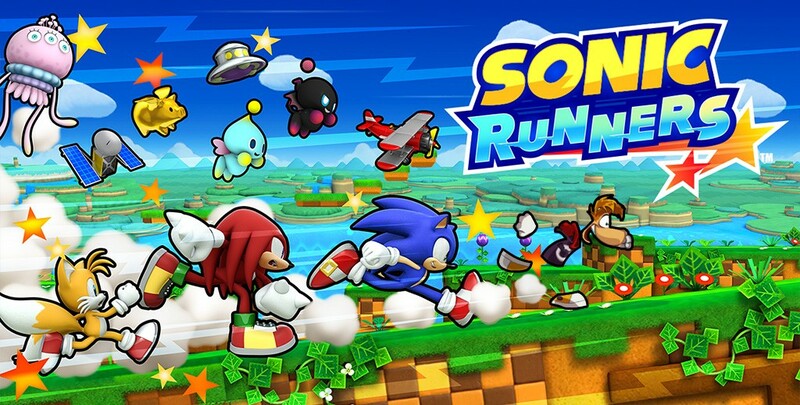 So hopefully they’re an indication of how good Sonic Runners will be. And who knows, maybe we’ll see additional guest characters from other mobile games as well, like maybe Mega Man!